Like most folks, we’ve seen a lot of mtb videos. But the riding, edit, effort and budget of this one is pretty hard to fathom. Come join in this escape with Fabio Wibmer in Saalbach! 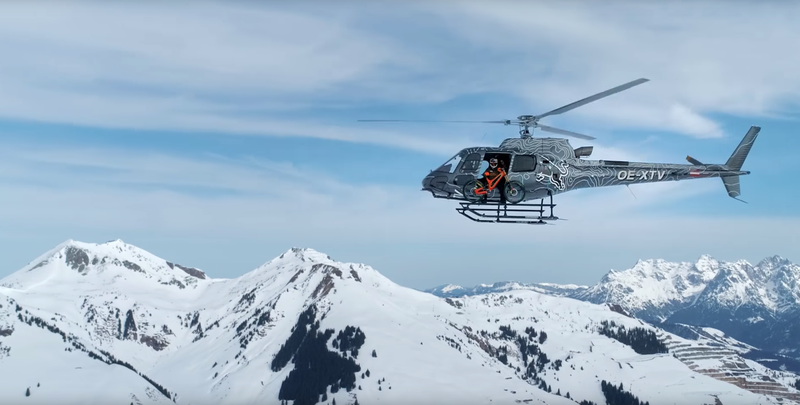 Snow, jumps, police, helicopters and big air are all in there and the way they flow together is truly next level. Big thanks to Saalbach Hinterglemm and Red Bull for making this project happen! Such a crazy time filming and producing this video. Can’t wait to be riding in the summer in Saalbach. Want some info? Check them here. Usually, this is the money shot but here, it’s really just the tip of the iceberg. Also big thanks to Bernhard Niederseer, Florian Hasenauer, Michi Rudolf, Elias Schwärzler, Alex Meliss, Hannes Berger, Roland Hofer for helping!